Republicans who are eyeing Maryland’s 6th Congressional District as a possible 2018 pickup should be under no illusion that the heavily gerrymandered D+7 seat is likely to remain in Democratic hands, until and/or unless Gov. Hogan is re-elected and redraws the congressional map. But now that Rep. John Delaney (MD-6), who announced last Friday that he running for president of the United States, will not seek re-election in the 6th, some Republicans see a silver lining. Many Maryland politicos argue that the 2014 general election between John Delaney and Florida resident Dan Bongino was entirely too close, pointing to Delaney’s near defeat by the three-time failed self-described renegade Republican candidate, who now hosts a daily podcast and regularly appears on Fox News. But these are the facts: Dan Bongino worked harder than John Delaney. However, barely lifting a finger, Delaney still won the race in 2014. There is no such thing as “almost winning” in politics – unless you’re Hillary Clinton or Al Gore, who both won the popular vote in their respective presidential races but went on to lose the White House, coming up short in electoral college votes to their Republican victors. Bongino did not almost win Maryland’s 6th Congressional District; rather, John Delaney, the incumbent, hardly lifted a finger and still won. What’s the difference between the 2014 and 2018 congressional midterm elections? In Maryland’s 6th Congressional District, not a lot, except for one name: Trump. Whoever the eventual Republican nominee is, she or he is likely to be saddled by Trump’s fleeting poll numbers and the drama that consumes the White House on the daily. In Western Maryland, Trump is beloved by the Tea Party and the Republican base, while in portions of Frederick County, Frederick City and most of Montgomery County – Republicans consistently lose here – Trump is vehemently disliked. Of the Republican names being discussed for a CD-6 bid, objectively, only two candidates would be plausible to run in this political climate: Amie Hoeber and Maryland DLLR Secretary Kelly Schulz. Schulz – a former Frederick County delegate in District 4 who was plucked by Gov. 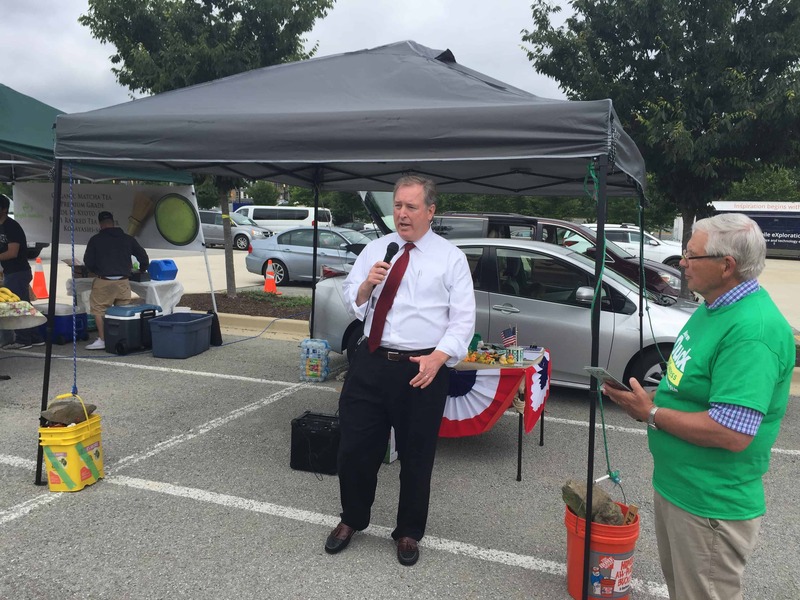 Hogan in 2014 to run Maryland’s Department of Labor, Licensing and Regulation – is adored and universally respected by Republicans and Democrats alike. She would be an instant seller in a Republican primary. There is no doubt that if Secretary Schulz jumps into a Republican primary in CD-6, she would be an immediate front-runner. She is said to be mulling a bid, but I have not been able to independently confirm with Schultz herself. 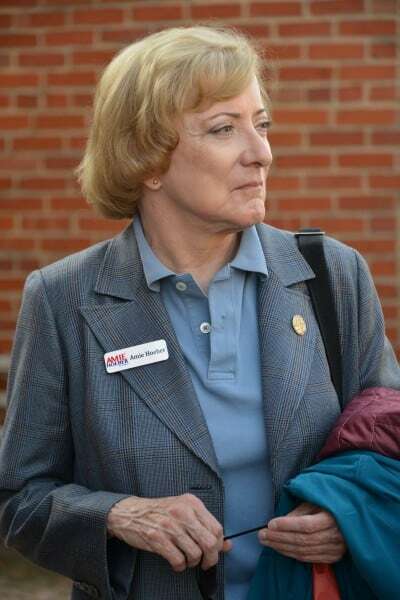 Last Friday afternoon, Amie Hoeber, the 2016 Republican nominee for Maryland’s 6th Congressional District, announced that she is considering a second congressional bid. Hoeber has demonstrated that she is capable of assembling a Republican coalition throughout the entire far-reaching district, and she has the ability to self-fund and raise significant money to compete. She’s developed a political base in Western Maryland and is being encouraged by Maryland Republicans to throw her hat into the ring for a second go-around. She’s stayed active in Republican politics since her defeat last November and hasn’t shown any signs of stopping. Other Republican names who have been tossed out to run for CD-6 in 2018: Washington County Commissioner Terry Baker, Republican activist Michael Higgs and political newcomer Adam McKee of Boyds, Md. Please continue to follow AMinerDetail.com for the latest news on the Republican primary in Maryland’s 6th Congressional District.